Now that I'm thinking about what else to bring over from V, the weapon customization could actually be a really good fit for Niko. Very in-character. The thing is, it would need to be really expanded, with the upgrades significantly impacting how the guns perform and handle, tailored to specific playstyles, instead of "neither here, nor there" approach of V. Otherwise, it's just a waste of time and money. And this is certainly a more significant intusion into the game's systems, but some light stealth mechanics would be nice. Just basic line-of-sight and multiple levels of alertness, so you can try to sneak around a bit more. No need to go all MGSV, but this is supposed to be the "hitman" GTA, after all. Thanks! Well, for the bulk of TLaD, Elizabeta would still be available, that's enough. But Tony went to Vice City? That's news to me. I mean, it's been a long time since I played TBoGT, so my memory might be murky. I know he isn't available to phone calls after Departure Time, but I thought he stayed in the city. They might just remaster the game on ps4 with nothing worth mentioning,pretty much the same game. They shouldn't do anything to the game except release it with 1080p native resolution (and get rid of that goddamn ugly blur/haze that you see during the day). Everything else should remain the same. Whoa whoa whoa.. We're not trying to make it GTA V here. Not remastering it at all would be the best choice imo as the game is perfect the way it was made. Only thing that could use a bit of touch up if the remaster is inevitable is graphics as they could simply remove the blur that was present in IV. Because smashing the same button endlessly to sightly change the appearance of my character is way more fun than playing pool or bowling. The stupid haze/blur like effect. Apart from that, it still holds up today. This. Everything about IV is better than V except graphics, so that's all that a remaster would need.
. All Minigames - ????? The f*ck?????
. Stunt jumps - Why????????????????????????????????????
. Dating - Why would they remove this? Or why would you care to have it removed? Affects nothing basically.
. Swingset glitch - ?????????????? The f*ck????????
. Internet cafes - ????????????? The f*ck??????????
. Awful Helicopter controls -Helicopter controls are great. No idea what you're on about.
. Gym -So remove ALL minigames but add the gym, which was a tedious, annoying, boring little minigame from San Andreas? I'd rather play QU3BD or go bowling than spam a button to make Niko buff. Sorry, not sorry. Gym was sh*t, glad it hasn't returned in the HD era. Anyways, if they remastered it, I would want them to keep it exactly the same. All they should do is bump it up to 1080p/60fps for the peasants people on consoles and actually give us a good PC port. Maybe even combine all radio stations or some sh*t. But I wouldn't want TLAD weapons in IV or TBOGT weapons in TLAD. Basically, I just want an update in resolution/textures/framerates and keep everything else the same. IV was already near perfect and with the way Rockstar is now, I wouldn't want them mucking about with it too much. If GYM workout is not a minigame for fun or leisure then the f*ck is point of doing it. From what I've been able to tell, you find IV quite boring as is so why would adding a boring activity increase the amount of fun you have with it? Your whole argument makes no sense. Please, try harder. Honestly, I'd be perfectly fine with just an upscaling of the graphics. Nothing newly added, but updated graphics and the ability to play on the PS4 would be orgasmic. Furthermore I don't understand why he whines that the minigames don't make any "sense" for Niko to do, but in what way does the gym then? Unlike CJ who lets face it is an inexperienced street punk that has no formal combat/firness training Niko already gained his experience during the military. He doesn't need to improve his skills. And yeah. He even acknowledges the gym isn't meant for fun so I don't really see the point of it then. IMO it's tedious and have never got its appeal at all. I'm glad R* had the sense to leave it out of GTA IV. Uniting all 3 into 1, especially with GTA V character switching, is a nice idea but gonna require hellova work, recoding and rewriting. - Traffic level slider for consoles like on PC. - Add parachutes to GTA 4 and TLAD. - More rooftop accesses. Ideally, to the roofs of all towers in the game. - Independence FM on consoles. - Autosave after each stunt jump and pigeon/seagull shot. - Subway station in Northern Bohan. - Ability to walk and stand on subways, cars, trucks etc. - Buses driving around the city in free roam, preferably with passengers, preferably with more than 3. - More various races to single-player, including air, water races, cannonball run and free run. - Ability to catch criminals via police computer in EFLC. - Move sun to the south like in real NYC (optional). - Less or no wanted stars for enetering Airport and UN (optional). And even MORE bowling with Roman please. Below is a perfect example of stupid, childish and retarded post with mutually exclusive points. GTFO and never come back. 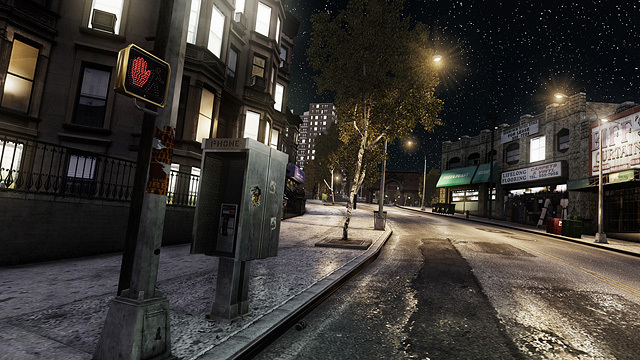 How do you even like San Andreas that features many things you wanted to remove/change in GTA 4?
. All Minigames - Yeah f**k em all. let's put yoga and shrink instead.
. Mission Reset system - ???
. Apartments - And live where? On the streets?
. Niko's walking speed - To what?
. Make Niko move around and control much more smoothly and swiftly, just like 3D era classics. - So the work of 5 motion capture artists and programmers should go down the drain because you want outdated PS2 mechanics?
. Stupid in-game economy - What economy?
. Safehouses to purchase - But you wanted homeless protags.
. Stadium challenges - Where to find that stadium?
. Gym - Niko had enough training and he doesn't need more muscles unlike Brucie. Yes, jet pack is actually a simple and easy to operate with 0 risks [ can't crash nor explode ] involved to fly around on your own that ensure a quick, smooth, and hassle free flight, unlike flying helicopter with awful controls and limited freedom to explore the environment. Jetpack allows you to reach anywhere no matter how challenging the landing site. Any one who doesn't find fun in the useless activities like bowling and other boring minigames but wants to be entertained in the empty sandbox world of IV will understand and agree with my sentiment for having jet pack in the game as expressed above. Fu*k the Jet Pack. We don't need that s*it in IV! "I want new stuff! Tired of Rockstar using the same old crap! They've been downhill with everything since after San Andreas!" "But let me cling onto everything from GTA SA while kicking and screaming while demanding that everything from it gets rehashed and reused in the next game!" I would like a bit of snow, improved graphics overall, optimize the game for PC, add new songs in radio, more interiors to explore, new clothes. All this things mentioned are quite achievable. I don't think they would add new missions, encounters provided that voice of Niko is no more working with them. Well the old classics could stay. I really like some of them. Even I like some of them in GTA V like D-I-V-O-R-C-E, Highway man, Whiskey River and many more. All they need to do is may be add a new radio station with new songs. By new I don't mean songs from 2015-16. New means new to the game. I know we have Independence FM to do so, but I believe that Rockstar has neat taste in music and they introduce us to some really better ones which we had never known of. He asked a rhetorical question. You don't need to explain everything like we don't know what it is. Like the gym the jetpack is something I've never got the appeal of and personally San Andreas fans overrate to death like it's an absolute necessity in the series. Once again R* had the good sense not to taint GTA IV with this crap and they'd never do it with a remaster thank god. Some features in IV were awesome,like radio songs when ur phone calls in car,Driving was better too lol. all i want was a proper port. i dont want them to add anything , just port the game to pc properly and make the textures better. Graphics aren't horrible, but its incredible seeing GTA V running on the same console as is GTA IV. Rockstar did do an amazing job with it, I have to say. I'm switching between IV and V on my 360 and V looks like it's running on a different machine... I think for Rockstar managing to release GTA V for both 360 and PS3 and get them to run so good has to be one of the best achievements of the last generation. The shadows of GTA IV are'nt so good. And if the graphics is compared with GTA V, so forget that GTA IV can compete with GTA V in that feild. There should be A Rectangulare HUD. Some EFLC Interiors should be added (A Guy Called Voggs Told Me This). A better Phone Texture should be added. GTA IV contains a Very Less Amount Of Guns. At Least, EFLC Guns Should Be Added In It. Some EFLC Bikes and Cars should be added in GTA IV etc. Nah, the circular minimap has been characteristic of GTA since GTA III. I say keep it. Well it was my personal opinion.Gta iv is horrible,Shadows,ewww! IV graphics are good, but the colors on the console versions are weird, it's like they had different timecyc configurations in comparison to the PC version. Going from PS3 to PC (didn't pay attention to graphics then) then back to PS3 left me suprised, made me think my TV saturation settings weren't properly set up. You don't really need to explain how the jetpack works, I just can't imagine a Serbian war veteran flying a jetpack. Wanting to add a jetpack in IV is like adding a mission in TLaD where Johnny learns how to juggle.